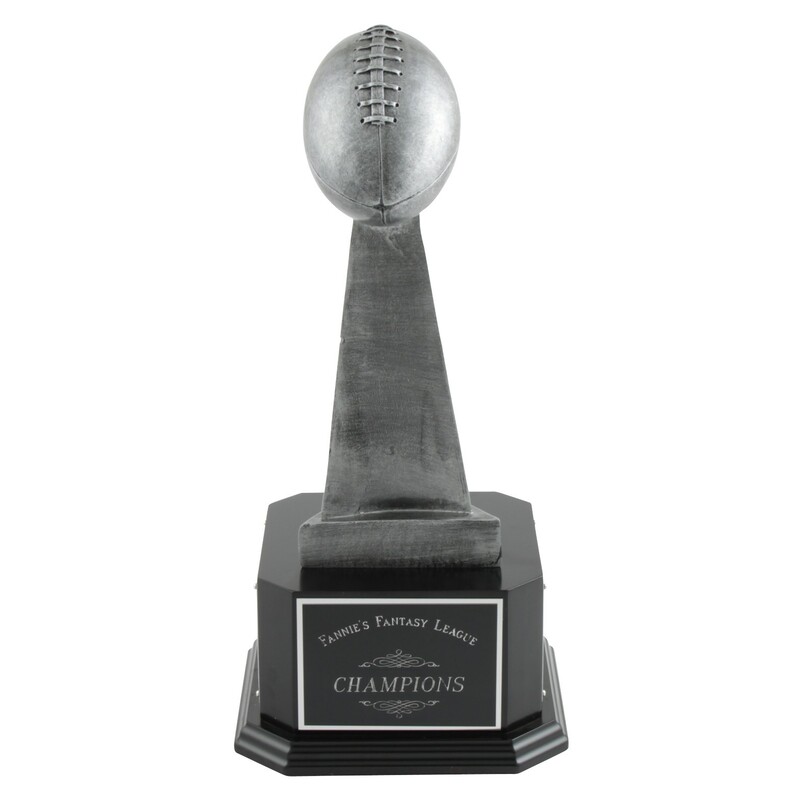 Pass our Perpetual Replica Fantasy Football Champion Trophy to your fantasy football champions each year! 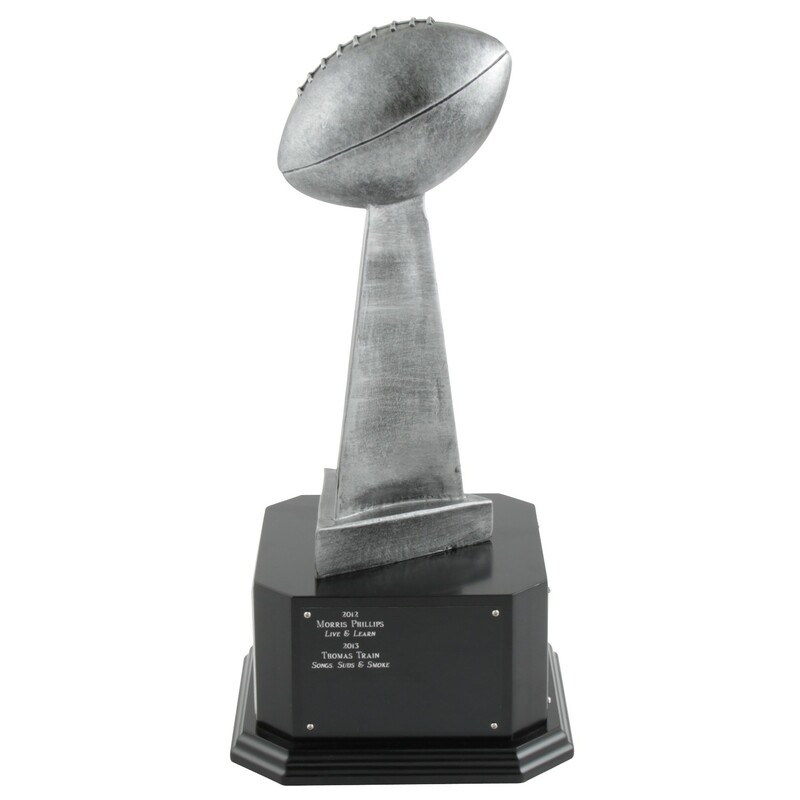 One of our best sellers, our perpetual fantasy football trophy is only available at Trophies2Go! 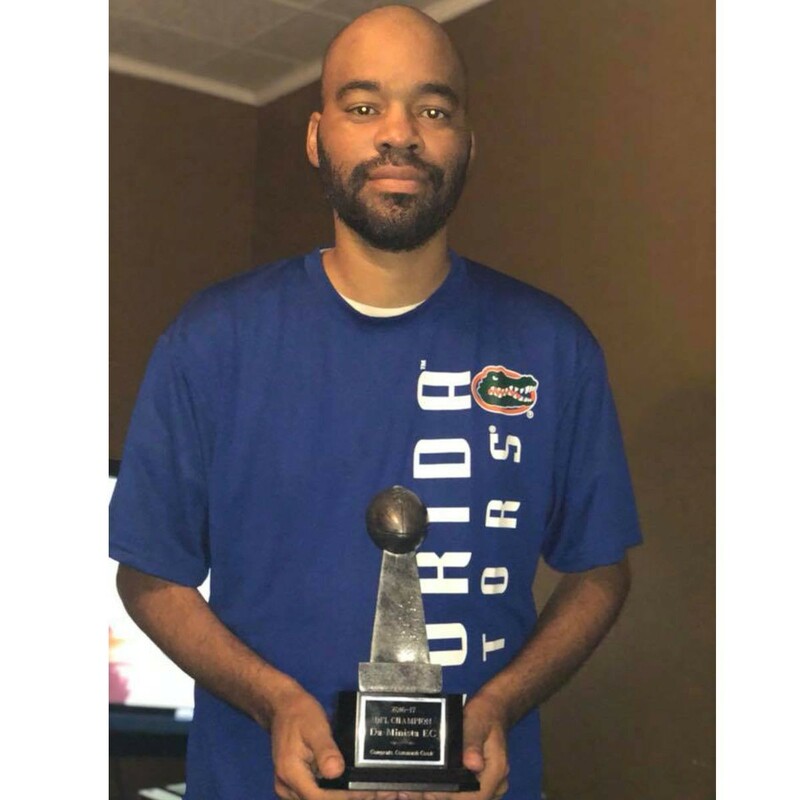 This silver resin football trophy features an antiqued silver football atop a tall triangular column, making it look very similar to a Lombardi Trophy. 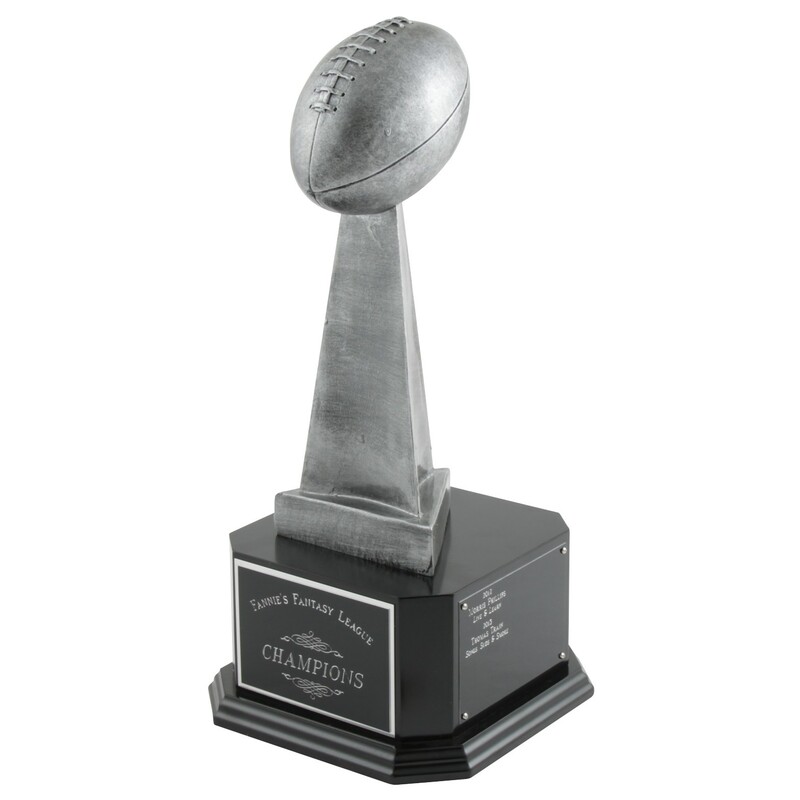 Attached to a black wood base, the front of the fantasy football trophy includes your free and personalized engraving! Select the option of 3 side plates and add your yearly winners to the base to create lasting memories! ***Note: To add winner's names onto the side of this fantasy football trophy, choose the "3 Side Plates" option below and then add product #7170 Fantasy Perpetual Engraving to your cart. Some Assembly Required: to reduce the chance of damage during shipping, this fantasy football award comes in two pieces with strong epoxy glue and instructions for easy assembly. Click here to view our assembly tutorial.